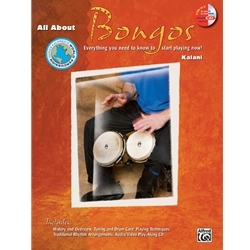 These new guides from world-renowned educator and performer Kalani present the history, tuning, care and playing techniques for each instrument. They include warm-up and exercise patterns as well as performance arrangements. The enhanced CD has performance and play-along tracks, plus demonstrations of rhythms and techniques.